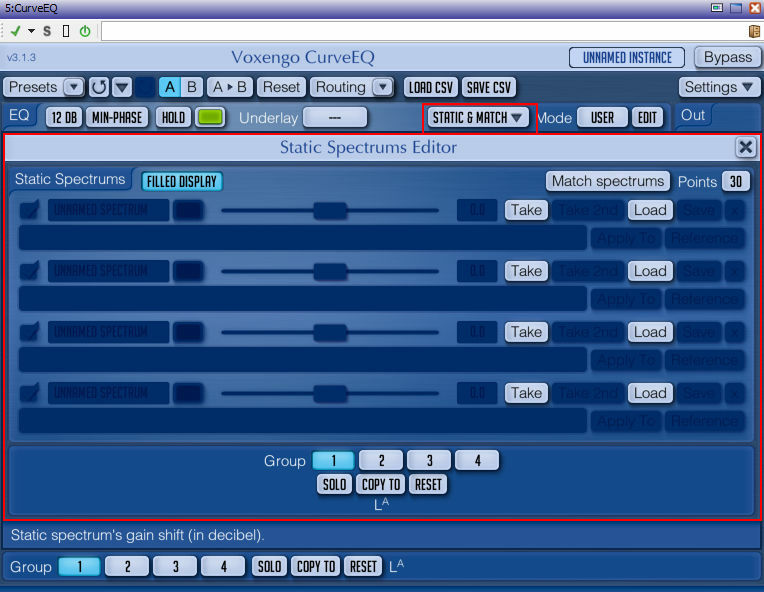 Voxengo Curve EQ is a very neat VST EQ Plugin that has some clever tricks up its sleeve. This powerful plugin also comes free with Steinberg’s Cubase 7 (more on that later). 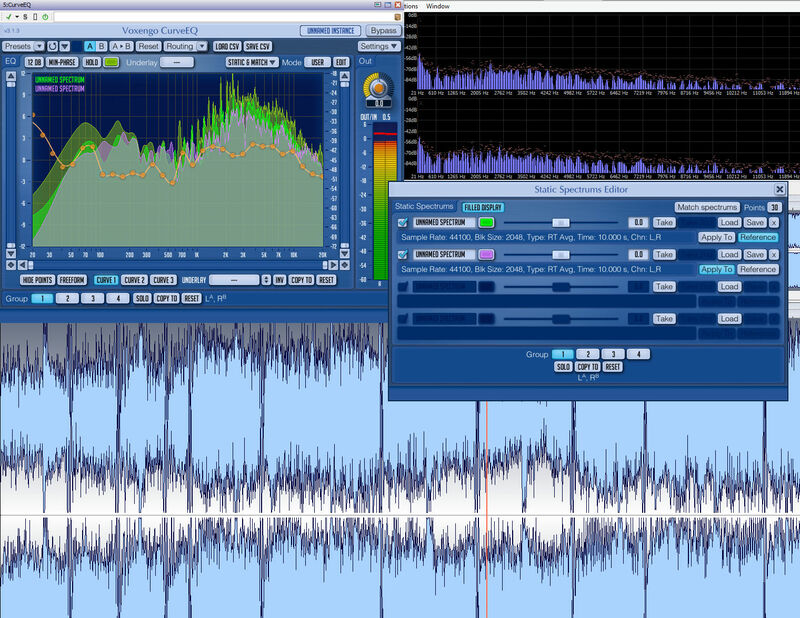 It can be used to take sample of the EQ Curve from your favourite Reference track and Apply that EQ Curve to a track of your choice. It works well. And at very least will give you an idea of how your track could sound. With a bit of manual adjustment you can really give your old demo a breath of life. Of course there are lots of little advanced techniques (not shown in this basic tutorial) to make this tool do its job even better, and even without the curve matching this plugin is a powerful piece of kit. Check it out! 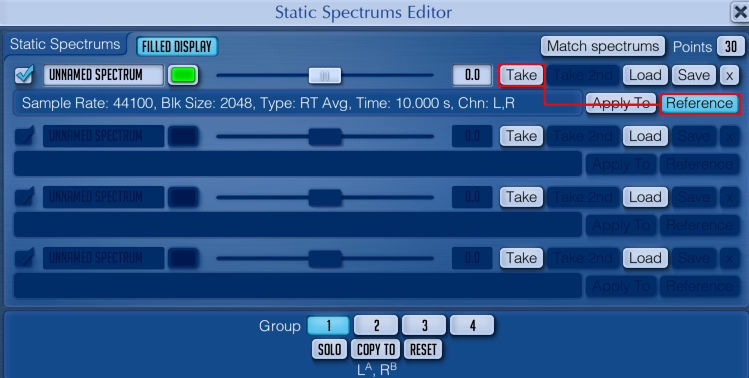 To start with you will need two tracks ready to play in your DAW. And make sure that Curve EQ is set to default settings (no active EQ). The Second track will be the track that you want to try to make sound like the reference track – In this example it is an (unfinished) cover I did of Riff Raff in my studio. I want the cover I have done to lose some quality and sound a bit more raw and old-school. At the moment it sounds very warm and modern even though I am using old style sounds. Normally I would do this from scratch with a dedicated set of mastering plugins but for this experiment I am using Curve EQ only. 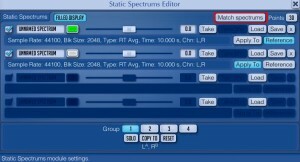 Once you have the two tracks ready to go we can open the Curve EQ Plugin and make some basic settings. 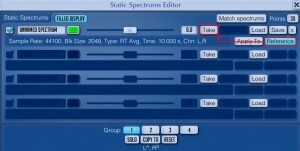 Open the Spectrum Mode Editor by clicking the EDIT button and set them like this picture. These settings work nicely but of course you can experiment once you have the hang of it. 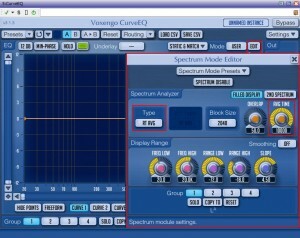 Now we need to get the EQ curve from our sample track. Open up the STATIC & MATCH Page using the button at the top of the plugin. Keep this window open from now on. We now need to start playing the reference track but not just anywhere. try to pick a section of the track that represents the overall feel and has a similar structure to the track you want to apply the EQ to later on. For example, I will play the original Riff Raff here but skip the intro. And as my cover has no vocals (yet), I will pick an area of the original track that also has no vocals. When you are ready and the reference track is playing, hit the Take Button. This takes a sample of your reference track. Once done you can also set this to Reference. Now stop the track playing. Now we will take sample of the track you want to apply the new curve to. 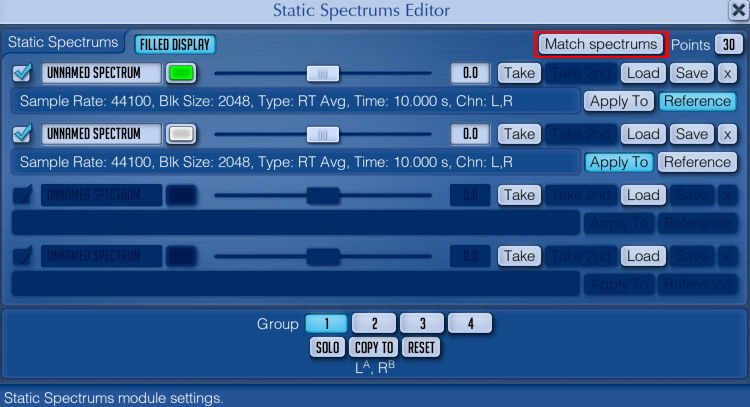 Keep the STATIC AND MATCH Page open. We will now start playing your target track. Again try to pick a similar area of the track. IN my example, as it is a cover version, I will simply play the same part of my cover track that I used when I took the sample curve from the original track. When you are ready and the target track is playing, hit the Take Button. This takes a sample of your target track. Once done you can also set this to Apply To. You won’t hear anything yet but your screen should look something like the screen shot above. Keeping your target track (my AC/DC cover) open and playing hit the MATCH SPECTRUMS button. You should immediately hear the difference and if you have chosen a good reference and target you may even find that the target sounds very much like the reference. 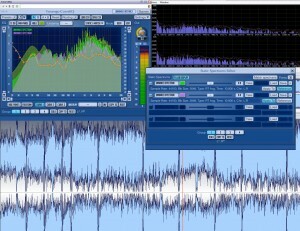 I find it useful to then return to the main EQ page and smooth out some of the curves manually. Also you can add more references from different areas of your reference track. Use the same procedure as above and set them as Reference. You can use the Save button to save your reference curve so that you can Load it back later and apply it to different track. 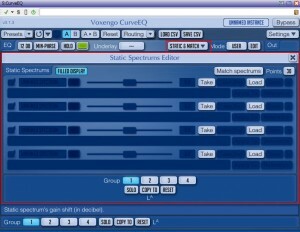 If you are a Cubase 7 user and you wish to use the Curve EQ in another audio application (like Wavelab), you can move the Curve EQ file to the shared VST plugins area: C:\Program Files\Steinberg\Cubase 7\VST3\CurveEQ.vst3 moves to C:\Program Files\Common Files\VST3\CurveEQ.vst3 You will now be able to use the plugin in some other audio applications, as long as you have a valid Cubase 7 license. Here is a short SoundCloud clip of my Riff Raff cover. It switches (A/B) between the original and the Curved version. There are no other differences or adjustments. Although it does sound a bit harsh (because your ears do adjust and get used to each version), You can clearly hear the effect of the Curve EQ. Also the original track is quite harsh and edgy, so in this case that was the desired effect. Previous post: Windows 8 – Wake Over LAN – It Works!